Qatif is a historic coastal city and oasis located on the western shore of the Persian (Arabian) Gulf in the Eastern Province of Saudi Arabia. The history of Qatif dates back to 3500 BC in the late Bronze Age. It was known by other names, such as the most famous «Al-Khutt» and «Cateus» the Greek name. Some early European maps labeled the entire present-day Gulf as the «Sea of El Catif». Castles, citadels and ancient ruins and cemeteries are examples of the deep roots of Qatif in history. These roles continued till the unification of the Kingdom of Saudi Arabia when it lost its place to Dammam the capital city of Eastern Province in the early 1940's. Traditionally reliant on agriculture and fishing, Qatif has become famous in the oil industry recently, mainly due to the giant Qatif Oil Project. Qatif (known also as El-Katif / Al-Qatif) is located on the western shore of the Persian (Arabian) Gulf in the Eastern Province of Saudi Arabia at Latitude of 26.52 and Longitude of 50.02. Qatif has hot and humid summers and mild winters. Sand storms are normally encountered during summer. Qatif has excellent connections with other urban centers of Saudi Arabia by highways, and is also close to the causeway to Bahrain. Qatif is served by the King Fahd International Airport in Dammam. The oasis covers a large area that includes the city of Qatif and many other cities and villages such as Saihat, Anak, Safwa, Awamiya, Awjam, Qudaih, Khuwailidiya, Jaroodiya, Umm Al-Hamam, Sanabis, Darin, as well as Tarut Island. 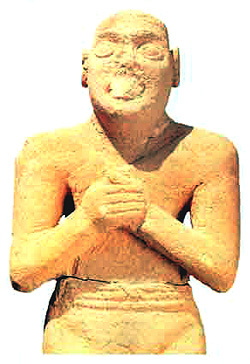 Qatif played major roles in the history of ancient civilizations; Phoenicians and Greeks. Thanks to its prominent location on the Gulf, Qatif dominated the Gulf trades between India (spices) and Europe. Trading ships stopped at Qatif's port for food and water and trading negotiations. Qatif is located in the midst of one of the largest oases in the world. It is famous for its springs, palm trees and, of course, oil fields. After the discovery of oil, many residents sought employment with Saudi ARAMCO. 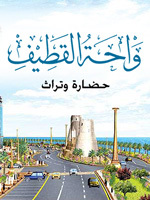 Qatif's economy is a mixture of agriculture and petroleum related activities. The agriculture was modernized in the 1960's. Dates, alfalfa, rice, fruits, and vegetables are typical products. Fishing is also a traditional activity that still is of great importance. Qatif Fish Market is the largest market in Kingdom and the Gulf. Qatif acts as an importer/exporter of fish from and to the Gulf markets. Qatif Fish Market is a lively attraction. Auctioneers start their day right after the dusk prayers and could extend up to midnight. Few origins of Tarut Citadel are not known for certain, except that it was built over 5000-year old settlements. Legends envisage a variety of historical images. The Citadel was built between 1515-1521 A.D. by the people of Qatif or Tarut for protection against Portuguese attackers. Another story is that the Portuguese built it for protection against Turkish attacks. After being forced to surrender in 1559 A.D., the Portuguese fled Tarut for the Island of Awal (Bahrain). Qasr Darin (also known as Qasr Abdul Wahhab Pasha) is an impressive structure overlooking the Arabian Gulf. In 1884, the wealthy Muhammad ibn Abdul Wahhab Al Fayhani came to the area from Qatar and built the castle over settlements which date to the dawn of Islam. He traded in pearls, which were exported to many countries at that time. Qatif fishing port attracts catches from all ports of the Arabian Gulf. The Fish Market opens after sunset prayer and closes at 10:30 pm and it is the largest fish market in the region. Every Thursday morning, Qatif bustles with the transactions of Khamee's market, where stands are placed among regular stores and peddlers roam. A wide range of goods is available, with folkloric handicrafts, made during the week, displayed side-by-side modern imports.